Building your brand can feel like an overwhelming task. 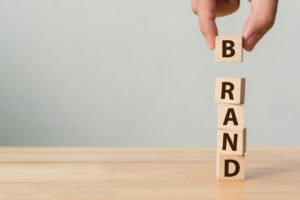 Whether you are launching your own company or applying for a new part-time job, it is crucial that you have an established corporate or personal online brand. But if you haven’t first determined what your brand is, how can you share it with the world? Merriam Webster defines brand as “a public image, reputation, or identity conceived of as something to be marketed or promoted.” By definition, a brand is broad and all-encompassing. The enormity of this task can make it difficult for those looking to grow their brand to know where to begin. 1. First, decide what you want to achieve. Many people attempt to define their brand without first determining their goals. What do you want to accomplish? Who is your target market? What actions would you like them to take? If you are unfocused, your brand will be as well. When you have clear intentions and a target demographic in mind, it becomes easier to produce content that supports the voice of your brand. You can’t begin to sculpt your online reputation without first getting clear on what your intent and message are. 2. Get specific, and then get more specific. When you think you have a distinct message, take your specificity one step further. The most successful brands know their niche, and they use it to their advantage. When you get precise with your target audience, you can market to them more successfully. Having a focused brand will also help people remember who you are. Vague = Forgotten. 3. Be creative, but don’t fake it. While it’s important to aim for a unique and exciting brand, you don’t want to be different just for the sake of being different. Check in with yourself along the way to assess whether your brand feels genuine to you. Your online reputation should be a reflect your true intentions. Your audience will see right through over-flashy logos, attention seeking content, and disingenuous social media posts. Be honest about who you are, and your brand will begin to grow naturally. 4. Make it a conversation. An adequately established brand is an ongoing conversation, not a one-sided story. There is no purpose in building a brand unless you actively engage with your audience. Whether you are responding directly to customer inquiries or replying to comments on social media, it is vital that your brand communicates authentically. Tell a story through your content, and listen to the feedback you receive. Connect with people, and they will grow a relationship with your brand. Once you have defined who you are, don’t stray too far. It is essential to demonstrate consistency in your messaging, appearance, and tone. If your brand is young, fun, and casual, it will likely confuse your audience if you send out an email in a cold and formal tone. On the other hand, if you have established your sound as clinical and conventional, a post on social media beginning with “Hey guys!” won’t be on brand. An audience that knows what to expect is an audience that grows to trust your brand. 6. Prepare for a long journey. Laying the groundwork for your online reputation isn’t just the launch point of your brand. It’s the beginning of a lifetime endeavor. Growing your brand and the community that surrounds will be an ongoing process. Don’t expect to check the task off your list and move on. Embrace the fact that brand building is a long-term effort, and you will set yourself up for success. You are strengthening your legacy. While you’re at it, you might as enjoy the journey. Need help defining your message? Call 888-805-4121 for a free branding consultation.